Most people are unaware there are more than 50 different kinds of pneumonia. Some are very mild, but pneumonia is also a leading cause of death around the globe. Those who are most at risk include the very young, the very old and those individuals who are already extremely sick when they come down with this illness. It is also fairly common for people who have had pneumonia to develop reactive airways, and thus exhibit symptoms of asthma for a period of time after the pneumonia has been cured. There are many causes of pneumonia, including viruses, bacteria, mycoplasma (organisms which are similar to bacteria), and even substances which are inhaled, such as foods and molds. Bacterial pneumonia is the most common type among adults and can often be the most serious. Half of all pneumonia cases are caused by viruses (in all age groups). However, the majority of pneumonia cases are in very young children who are under the age of 5. Viral cases of pneumonia are usually milder in nature. About 20 percent of all cases are caused by mycoplasma, but again, these instances are usually mild. As noted above, pneumonia can be caused by inhaling certain substances, including dust, fungal spores, gases, or even liquid or foods. This condition can also follow a bout with influenza or a cold. Some types of pneumonia are named for where or how the condition was acquired. Hospital-acquired pneumonia refers to this illness when it is acquired in a hospital or similar institution, such as a nursing home. Individuals who are in intensive care units or on ventilators are especially vulnerable to this type of pneumonia. Community-acquired pneumonia is the type spread through school, work or other areas in the community. Aspiration pneumonia is the kind that is aspirated, or inhaled into the lungs (often after vomiting). Pneumonia can be potentially fatal within as little as 24 hours or less for people with chronic heart and lung diseases, as well as for the elderly. This condition can lead to a number of different complications. In example, bacteraemia occurs when the pneumonia infection spreads from the lungs into the bloodstream, and then travels to other body organs. The pleura (lining around the lungs and inside the chest wall) may become filled with fluid, a condition which is known as pleural effusion. Also, an abcess or pus may form in the area of the lung that is suffering from pneumonia. A pneumococcal pneumonia vaccine will prevent most of the cases caused by streptococcus pneumonia. People who are over the age of 65 or are in a high-risk group should be vaccinated. Annual flu vaccinations help prevent influenza, which can lead to pneumonia. The flu vaccine for children also protects against pneumonia caused by Haemophilus influenzae type b. Avoiding smoking is quite helpful in preventing pneumonia. This allows the lungs to fight off infections. Frequent handwashing decreases an individual’s exposure to germs that can carry pneumonia. A healthy diet and adequate rest also help the immune system to fight off infection. It is a good idea to wear a mask when cleaning areas that are dusty or contain mold, thus preventing inhalation of such pneumonia-causing substances. Pneumonia symptoms can vary according to the type contracted. With the bacterial version, a person can experience chills, high temperature, chest pain, sweating and a productive cough with thick yellowish or greenish phlegm. Viral pneumonia is characterized by a dry cough, headache, fever, fatigue and muscle pain, accompanied by shortness of breath. The cough may produce small amounts of white phlegm. 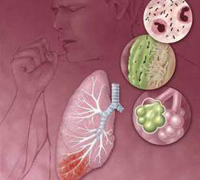 Pneumonia which is caused by mycoplasma may result in symptoms which are similar to either viral or bacterial pneumonia. Symptoms are typically milder than the other types of pneumonia and more like a case of influenza. The various treatments for this condition depend on what is the underlying cause of the inflammation. The treatments' success frequently depends on the health and age of the patient. Antibiotics are only effective for treating bacterial pneumonia or mycoplasma infections. While most cases can be treated at home with an oral antibiotic, hospitalization and intravenous antibiotics are sometimes needed. Most patients with viral pneumonia will recover in one to three weeks without medication. Drink plenty of fluids to loosen phlegm. Get enough rest so the body is better able to fight infection. Aspirin should NOT be given to children. Astragalus - Also known as huang qi, this is an immune booster and the Asian version of echinacea. Baikal skullcap - Recent research shows the root of this plant has broad-spectrum antimicrobial action. 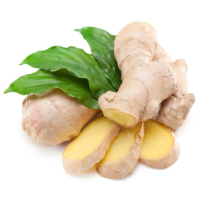 It inhibits flu viruses and several pneumonia-causing fungi. Echinacea - This herb helps boost the immune system and may be helpful in cases of infectious pneumonia. Dandelion - Clinical trials have shown this plant's effectiveness against pneumonia, bronchitis and other upper respiratory infections. Garlic - Naturopathic physicians sometimes recommend eating six to ten cloves of chopped garlic per day, along with echinacea for pneumonia. Goldenseal - This herb has two broad-spectrum antimicrobial constituents. Honeysuckle - Chinese herbalists often recommend honeysuckle for treating flu, bronchitis and pneumonia.